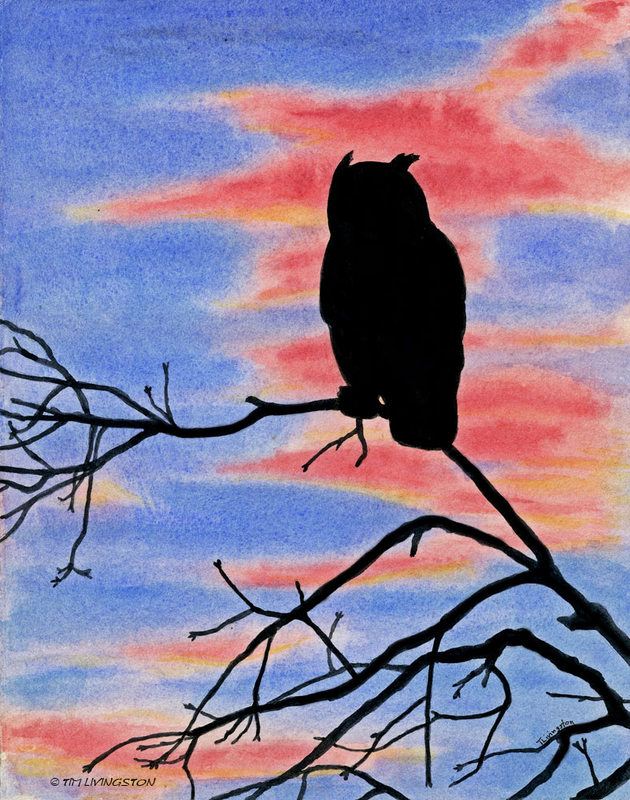 This entry was posted in Watercolors, Watercolour, Wildlife and tagged birding, birds, black oak, Forester Artist, great horned owl, hunting, owl, watercolor, watercolour by foresterartist. Bookmark the permalink. Thank you for the natural beauty and wildlife you share with us! And thank you for the warmth and positivity you share Linda! I love seeing your art and the story behind it. Makes my gloomy day happy! Wonderful work! You have a keen graphic sense. You are too kind Lynn!